TVS Motor Company, South India’s largest 2-wheeler manufacturer has launched a brand new 110cc commuter motorcycle in India called TVS Radeon. The all new TVS Radeon motorcycle is placed alongside that of Star City Plus and Victor. Radeon is primarily aimed for commuting and is designed to offer comfort, strength and style. The TVS Radeon bike barrows the same engine which is present in Star City. Being in the commuter segment, Radeon still gets some cutting edge advanced features like synchronised braking system, DRLs etc. Check out all the colors options for TVS Radeon along with photos below. 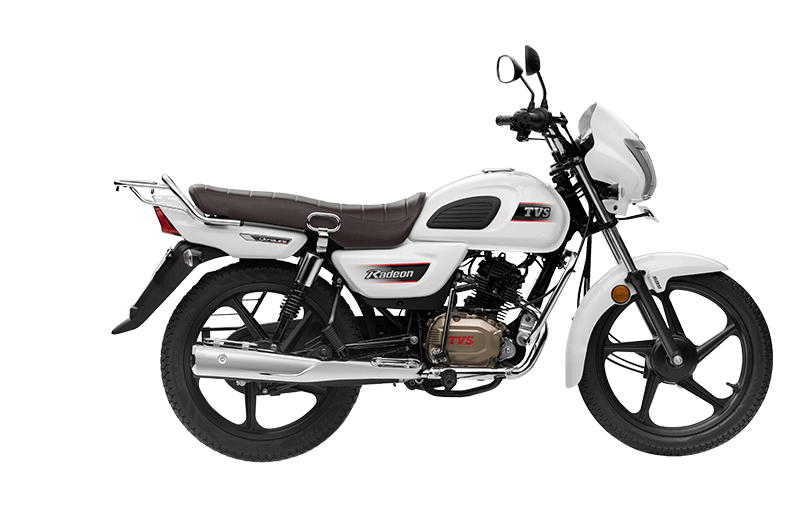 Check out the photo of all new TVS Radeon motorcycle in pearl white color option above. The TVS Radeon White color motorcycle is the character color chosen by the company and was showcased during the launch. Get TVS Radeon for Test Drive! Provide your details so that we can arrange a test drive of all new TVS Radeon for you at your place! If you are looking for the all new TVS Radeon 110cc motorcycle in cream color option – it is available in the name of Golden Beige color. Check out the photo of all new TVS Radeon motorcycle in Golden Beige color option ( Cream). 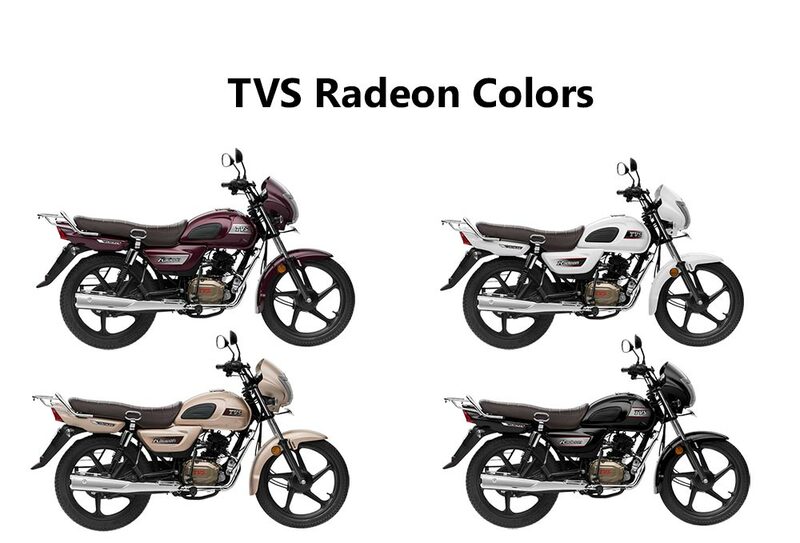 This is one of the unique color offered by TVS for its Radeon motorcycle. The purple color variant offered in TVS Radeon looks great. 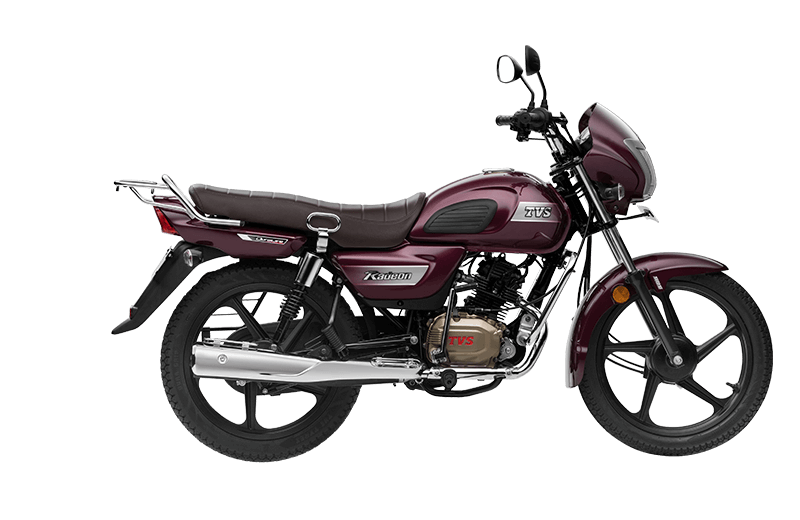 You may check the photo of all new TVS Radeon motorcycle in Royal purple color option. TVS Radeon gets a 4-stroke Dura-life engine. The Radeon gets Telescopic oil damped suspension in the front and 5 step adjustable hydraulic suspension in the rear. The ground clearance of TVS Radeon is 180 mm. M stay leaving bikaner rajasthan more TVS motors showrooms .but not Awailable TVS RADEON MOTORCYCLE All dealers black colour .More requirements bikaner people like this byk but not available. So provide for this your showrooms byk .